EGOZY of Paris for eons (okay a month)! 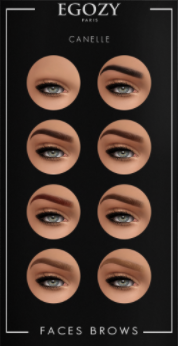 The lighter tones were released for the Skin Fair 2016 in the more pale tones. 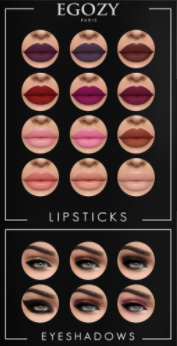 Now we have Golden, Canelle, Nougat, Coffee, Brun tones and they're available in SLink, Belleza, TMP and Maitreya mesh body appliers.